Can we agree that one of the most important, if not the most important, goals of high school or secondary education is to prepare young people for their future professional lives - also know as careers? And we can also acknowledge the statistics demonstrating how many times a young person will change jobs or careers, as well as how expensive it is these days to attend post-secondary training (college or other) are all staggering? College graduation rates are low and so are the rates of successful employment in chosen career areas. 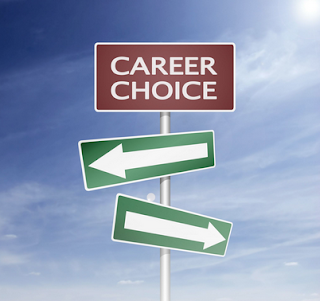 So, then our question becomes how can we better prepare our young people for careers? What can we do in high school, that we’re not doing now, that will improve the career prep education of our young people? Well, let’s first look at what we’ve traditionally done. One, students are assigned a counselor. Don’t get me wrong. Counselors are great and do tremendous work. But most high school counselors have large caseloads with hundreds of students, all of whom need academic and post-secondary counseling support. Additionally, counselors do many other things such as oversee testing, supervision, schedules, social-emotional support and more. They are an important part of the career prep puzzle, but cannot carry the necessary burden alone. Secondly, we have hosted career fairs to introduce students to possible careers and professional experts. Again, these are good, but they cannot provide students enough time and info to inform them on their personal career journey. There are other things that schools do, but the truth is that we don’t really a comprehensive curriculum for career prep. But we have the required course that is now perfectly suited for it. 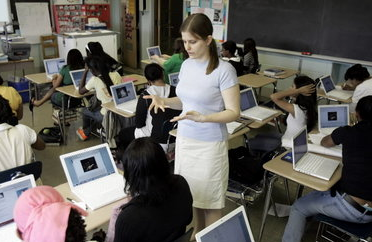 English class is the only that high school students are required to take all four years. New, updated standards emphasize a renewed focus on nonfiction and information literacy, not on literature or specific content. These same standards focus on everything from reading, writing, research, presentation, technology, publishing and more. Indeed, corporations and employers are being emphatic about the communication, collaboration and innovation skills needed for today’s successful career and employee. English class should be the place to study and practice these important skills. More and more of our education is aimed at becoming more personalized, relevant, engaging and student-oriented/student-focused. Here is the chance to do that and a whole lot more with four years of career-ready curriculum. What could this look like or include? Imagine every student regularly researching, writing and presenting about their career interests and pursuits for four years. That would provide them lots of expanded time and opportunities for the kind of in-depth thinking and reflecting necessary to be career ready. 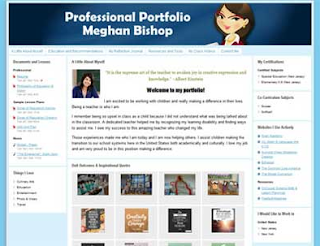 Imagine every students having a website and digital portfolio that would house everything from resumes, writing samples, videos and more - all related to their careers and professional pursuits. Imagine every student being able to network with professionals and mentors - both digitally and in person - through contacts made in English class. In addition to four years of individualized career research and readiness, students would also have the chance to access curriculum related to what industry is telling them to have skill-wise. These are things like the soft skills, technology skills, etc. This would be the foundation for our supplemental reading, writing, research and presentation work as well. English would not be only be a required course, but seen as the vehicle that connects all kids directly to their respective futures. English teachers would become the ultimate life mentors and facilitators. It's no doubt that we have to do a better job of preparing students for 21st century careers. Students need more time, practice, experiences, skills, curriculum, modeling, mentoring and more. It's time to make High School English Class the Ultimate Career Readiness course for all. Education is the best policy to choose a suitable career; therefore we are always giving more and more stress towards education. Before choosing a career or before building a career we should first build a strong educational background; otherwise we are unable to go for a suitable career. Here we have found some effective ways through which we are able to learn how to make a suitable career while having good education policy. This is an awesome game with such a nice discussion with a very simple way.